YES, if T = 0.1, it means it samples every 0.1ms and calculate the PIDOUT every 0.1ms. You need an interrupt every 0.1ms to do it. 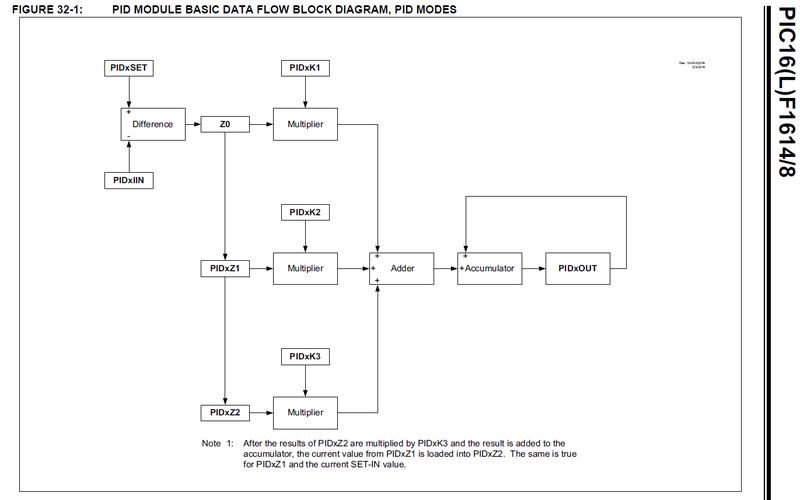 Usually the PID output is much larger than the physical register value you specify. If so, you may shrink the PID output value by “right shift” to fit into the register range. A divide instruction may also work but cost more execution time. A Q format multiply method is much more efficient instead of the “Divide”.